This is a recipe from a vegetarian cookbook. Ingredients are simple but it’s healthy, delicious and easy to prepare! Mash the potatoes and mix with corn, carrot, onion, scallion, corn starch and salt. 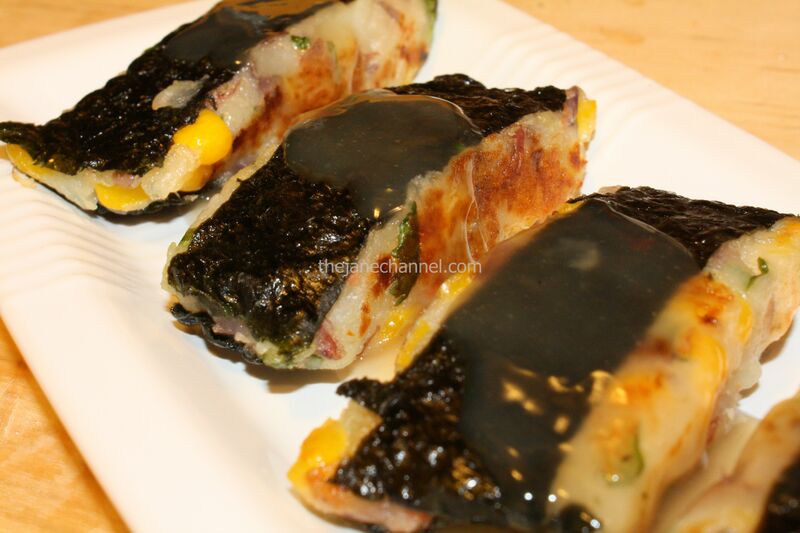 Spread a thin layer of mashed potatoes over the seaweed and cover it with another sheet of seaweed. Cut it into 4-5 strips. 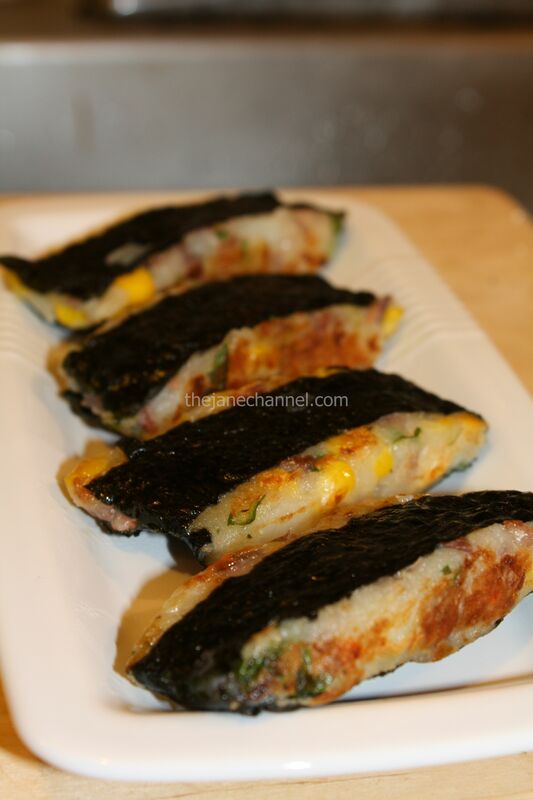 In a saucepan, add oil, pan fry seaweed potato pancakes for 2 min on each of the 4 sides, or until cook through. Remove from pan. Mix 1 tablespoon of vegetarian oyster sauce or regular oyster sauce with 1/2 tablespoon of corn starch in a bowl. Cook the mixture in pan for 1-2 min. Apply sauce on potato pancakes.